The focus of the work of The Universal Heaven Project is building a sustainable System of Life that is based on establishing Total Abundance for all beings throughout the Creation. If beings learn how to work as Source-Directed Spiritual and Social Activists, they will be able to work with the Source to manifest The Miracle of Total Abundance, which will enable all beings to have Total Abundance. The Path to Total Abundance has been successfully traveled by 14 Prototype Communities which the Source founded in different parts of the Creation many thousands of years ago. These Communities worked together to build a Source Connection that was strong enough to manifest The Miracle of Total Abundance. When it manifested, they achieved the Total Abundance of a Love-Based Community that worked together to ensure Life Purpose Fulfillment for every member of the Community. By living abundant, peaceful, and purposeful lives, they were able to work with the Source to manifest Perfect Health. For thousands of years they have been free of disease, accidents, and aging. At death they simply walk peacefully out of their bodies and into their next Life Adventure. I have returned in this, my final incarnation, to help all beings achieve what the Prototype Communities achieved and to take it to the next level, where they manifest the Total Abundance of The Heaven Experience. It was to have The Heaven Experience that beings incarnated in The Manifest World. It is the quintessential experience of True Happiness. Those Living The Heaven Experience live in a Heaven Experience Medium which enables them to experience the love, joy, bliss, adventure, and celebration that comes from their development of their Love Connection with the Source. Those who develop a 100% Source Connection are those who are able to sustain The Heaven Experience in every moment of their lives. The Source has created The Total Abundance Movement to catalyze the work to manifest The Miracle of Total Abundance. The Movement is currently focused on work in Stage Two of The Global Prototype for Total Abundance. In Stage Two the focus is on prototyping a Total Abundance Way of Life. In this Gifted Introductory Training, you can access Videos, Audios, and Articles that take you through The Four Steps to understanding The Total Abundance Movement and what it means to become a trained and equipped Source-Directed Spiritual and Social Activist working with the Source to manifest Total Abundance in your life and in your world. This introduction will help you to know how to work with the information that is available on the web site which contains a wealth of additional Gifted Source-Directed Activism Training Materials designed to help you to understand the basics so you can join in the work of manifesting Total Abundance for all members of The Global Community. When you come to work with the materials of The Miracle School web site, I create for you a Miracle-Based Adventure that enables you to go on a Journey of Discovery. This is a Source-Guided Journey of Discovery that enables you to discover the Source Communications that help you to take your Next Step on your Path to Total Abundance. You might feel drawn to a particular part of the site and start reading an article or watching a video and be drawn to a particular message that emerges from the materials you are studying. When this message lights up, you can pause and reflect on what I am communicating to you about your Next Step. Through understanding how to work with a Source-Guided Adventure on the Outer Plane, through this web site, you will be better prepared to follow the Source-Guided Adventure of your Life that manifest the Source-Given clues that guide you to each milestone of your Life Adventure. If you view the web site as a whole as a Gifted Introductory Source-Directed Activism Training, with the materials as part of the curriculum, and you spend thoughtful and meaningful time here getting to know the Source, the way that the Source sees the state of the world, and the way in which the Source is responding to the problems of the world as well as to the potential of the world to set the stage for The Heaven Experience, then your experiences here will be transformative. This web site is a Miracle Tool infused with the miracles that enable you to come here to have Time with the Source and discover The Miracle of Life. 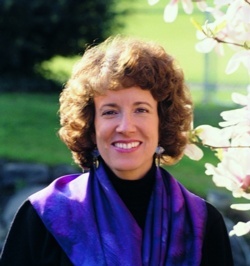 Those who reconnect with the Miracle of who they really are as a unique Perfected Spiritual Intelligence and the Miracle that lies latent within all of Life, are those who will become Stewards of Life, capable of shouldering the work of sustaining Life in the Creation after the Implementation Aspect of the Source returns to the Source Level. I recommend that you watch the video on Awakening and Establishing a Direct Source Connection in order to get further insights into how to work with the materials available on the web site. A First Step is to go on the Source-Guided Journey of Discovery at: Join The Total Abundance Movement. This will give you the overview of The Work of the Source and what it means to work with the Source as a Source-Directed Spiritual and Social Activist. For an outline of the 5 Heaven Projects that are subsets of The Universal Heaven Project as well as for information on how to access the major parts of the site, you can go to: The Universal Heaven Project. If you go to The Source Solution Hub, you can explore the Source Solution Miracles that the Source has created as well as find out about the Source-Directed Projects and Campaigns. Critical Campaigns put you on the forefront of the work to provide the support needed to advance the work on The Global Prototype for Total Abundance. 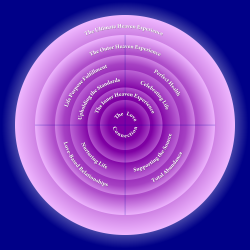 Because there are concentrated energies that build when all of the material on a particular topic is put in one place on the web site, I have constructed internal navigation for scrolling pages that keep you in the Spiritual Space and enable you to explore the basic materials that you need to access there. While there are links there that take you to other parts of the web site, the energy in that location is helpful to the kind of Journey of Discovery that you can have in that part of the web site. Some of the pages require more quiet and concentration to work with the energies. These pages do not have the Left Side Bar Navigation. Navigation for these pages can be found in the Navigation Bars below the page that list key pages of the web site. If you would like to reference the Left Side Bar Navigation, you can click on "Home" and you will be taken to the Homepage. If you would like to access the Search Bar for the web site, you can click on "Search" in the Navigation Bar below one of these pages. This will take you back to the Homepage where you will find the Search Bar at the top of the Left Side Bar Navigation. There is a separate Search Bar in The Source Solution Hub that will help you to find specific Source Solution Miracles that can be accessed through that Search Bar. Members of Connecting, can access a more powerful array of Miracle-Based Videos, Audios, and Articles. These materials require some energy support from other Heaven Agents to make them available to you with the kind of power that is needed for them to provide you with a higher level of Miracle-Based Training than is available through other materials on the site. I explain this gift from The Universal Heaven Agent Network in the section below. To receive Source Support in learning how to participate in The Work of the Source, sign up for Connecting by filling in the form below. The miracles that you will experience through Connecting have been exchanged for by Heaven Agents who generate the Material Energy that enables me to ground the miracles on your behalf. The miracles themselves are freely given by the Source. What is needed is the Material Energy that enables them to reach you at your level of materiality. It is a gift from them to you – an invitation to join them in The Universal Heaven Agent Network to work together to Build the Heaven of a Universal Love-Based Community that nurtures all of its own. It is their desire that you will join them in The Universal Heaven Project and work with them to build the Heaven that your life and all of life was meant to be. 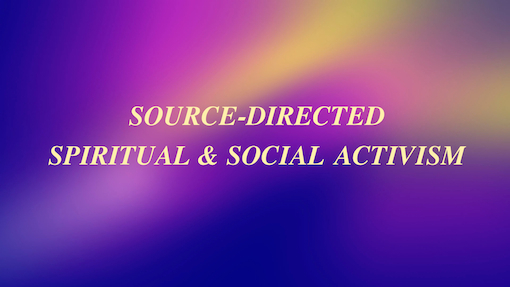 Information on Source-Directed Spiritual Activism Projects and Campaigns that provide Source Solution Miracles for the problems that you face individually and the problems that are faced by the Global and Universal Community. All of these Projects are part of The Total Abundance Movement created by the Source to manifest Total Abundance for all beings throughout the Creation. Emailed Source News Updates on The Work of the Source that keep you abreast of the Source-Directed Spiritual and Social Activism that is making it possible for you and all others to have a chance to have a Life that is Heaven - Heaven being the highest level of happiness that is possible for you. These Source-Designed Spiritual and Social Activism Training Materials are gifted to you by The Universal Heaven Agent Network that supplies the Material Energy to ground the miracles that enable you to experience this kind of Transformational Training. It is their invitation to you to join them in the work of building the Heaven of a Love-Based Universal Community that nurtures all of its own. Once you set your password, you will be given a link to a page that gives you access to all of the Gifted Training Materials of Connecting. You will also be emailed Source News Updates that help you to keep abreast of what is happening in The Total Abundance Movement.